Oh, I had the best reward “carrot” to dangle in front of my teenagers last week! 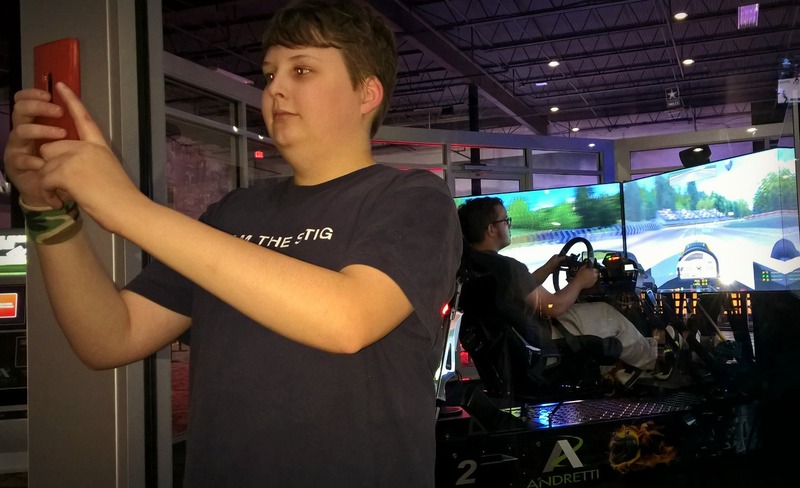 I had media passes to attend a fun preview night before Andretti Indoor Karting opened their new Marietta, Georgia location this weekend. And I had more family members wanting to go than I had passes. So like any smart mom, I used them to my advantage. 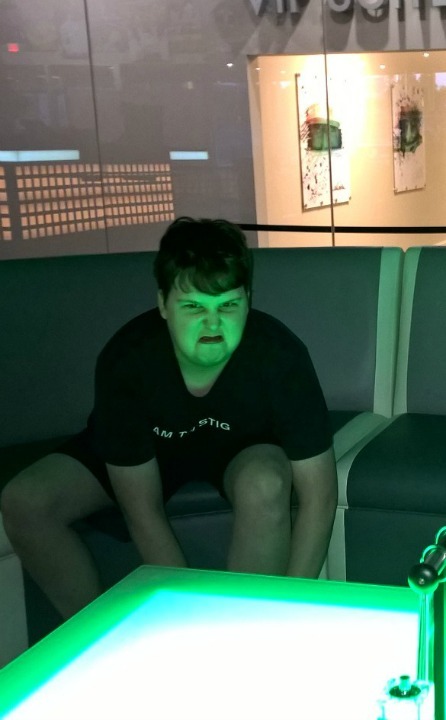 Anyway, it ended up that my three teens behaved well enough to go with me and wow — we had a fantastic time! 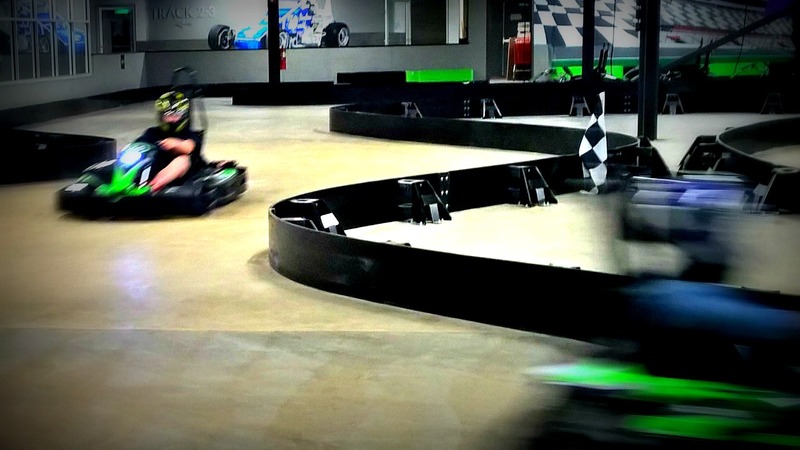 Andretti is not just about carting, although the kids had a blast racing on their indoor tracks. The facility is huge, with a large floor of arcade games, a couple of different simulators, laser tag, restaurant and boutique bowling. We decided to start with the bowling, which was unlike any bowling alley I’d ever been to. 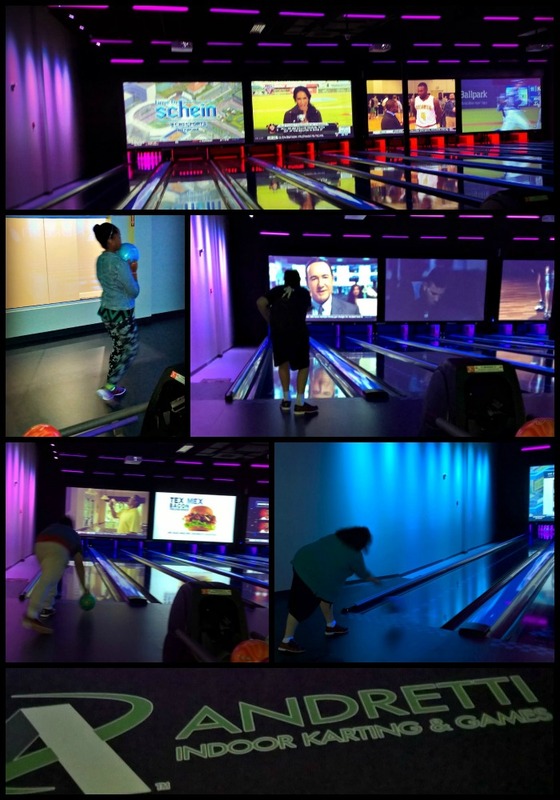 Sleek and modern, banked with huge TV screens, the lanes were dark and dramatic while the balls looked like miniature planets. Each lane had contemporary leather seating and glowing tables that added to the ambiance. After bowling a game, and being beaten by only one of my children, we moved on to the arcade area where the kids eagerly lined up to drive the realistic racing simulators. Four people are allowed inside the glass room at once. After buckling in, they’re allowed a five-minute drive to get used to the controls. The driving seats are on hydraulics and move along with the images on the three wrap-around screens. After the test drive, they all race against one another. Not surprisingly, Zach placed first, followed by Eli and in third, Violet. 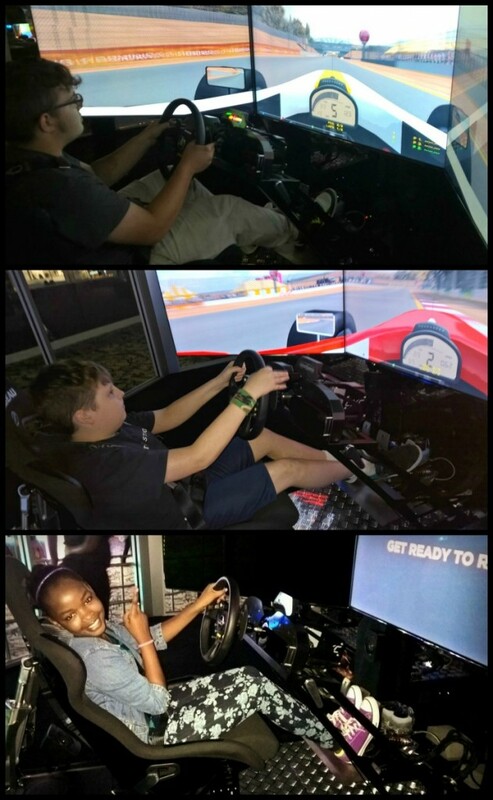 All those years of the boys playing Forza driving games on the Xbox finally paid off! 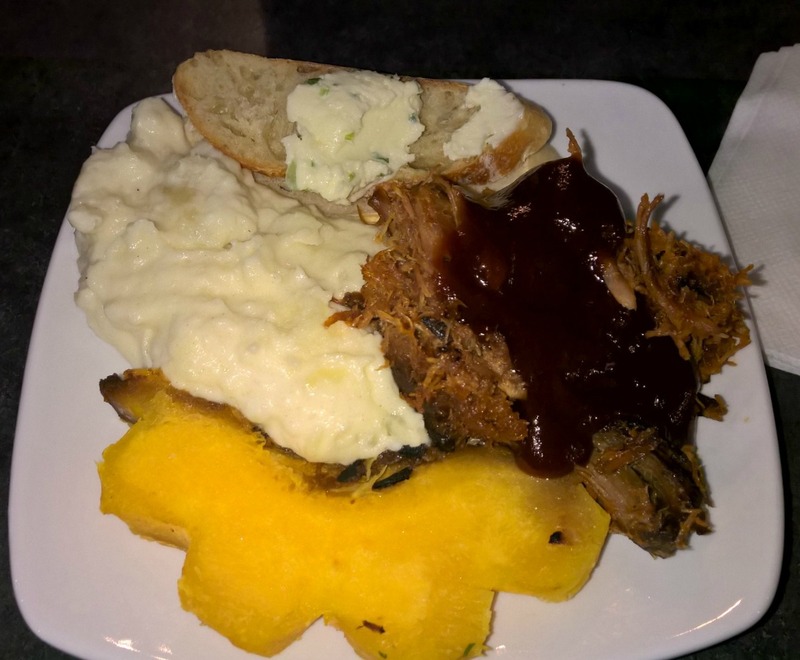 After laser tag, we were famished, so we stopped by the Andretti Grill, where we were treated to seafood salad, pulled pork, prime rib and assorted sides. Zach and Eli wolfed down their food with lightning speed (as usual) and went off to drive the go-carts. 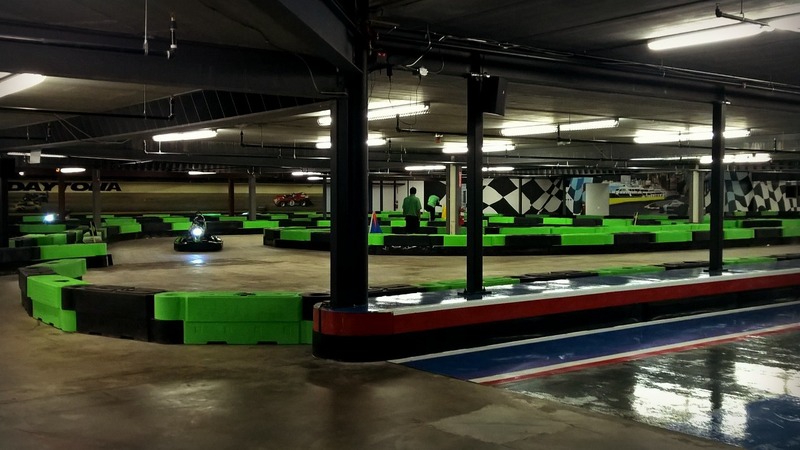 Since you have to be 15, with a valid learners permit, to drive on the adult track, they did the smaller track. After dinner, Violet and Eli raced on that track, while Zach tried out the adult one. 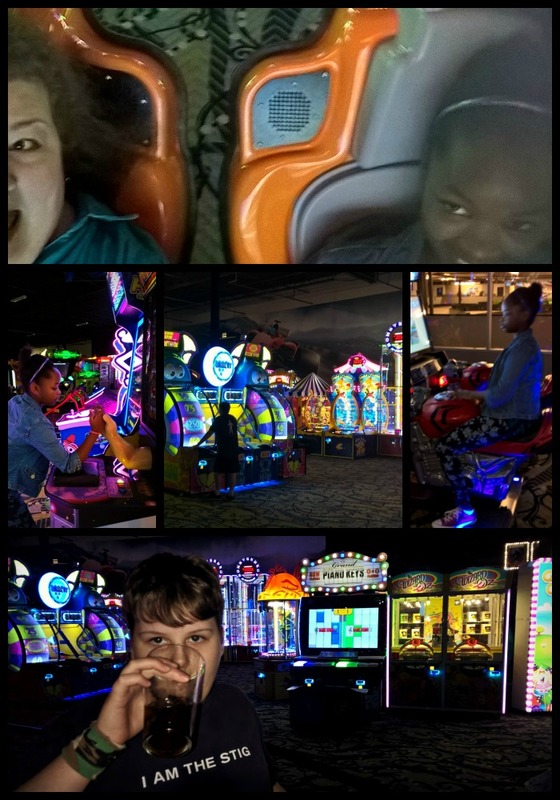 We ended the night playing arcade games until they closed. But we could’ve played a whole lot longer! 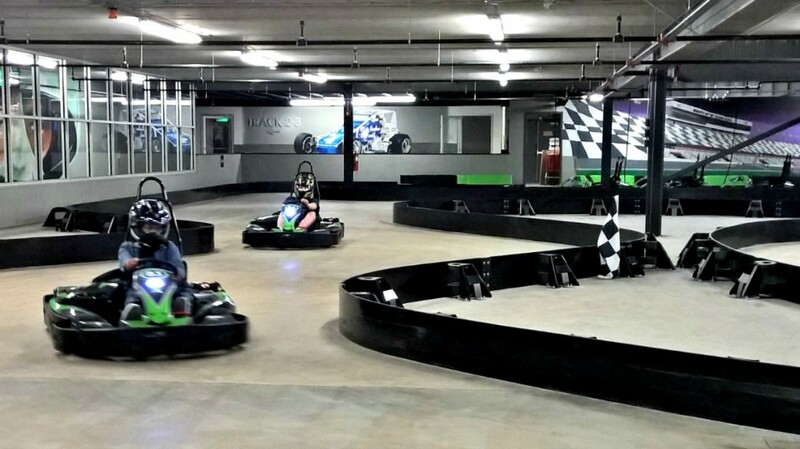 Andretti Indoor Karting and Games is open seven days a week now at 1255 Roswell Road in Marietta. We can’t wait to go back!